1 easy step ... have klosebuy professionally managed for your business! without hardware, setup, integration, or waiting! 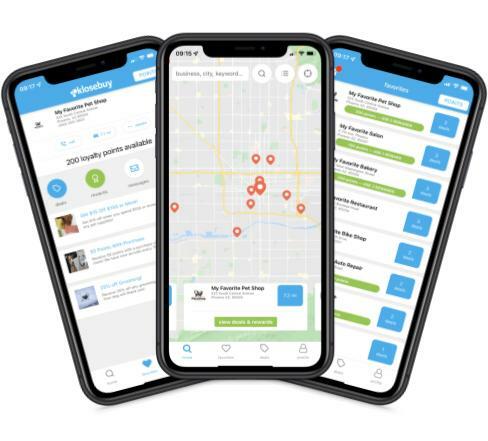 The moment you subscribe, our location based technology geolocates your business and is searchable by consumers using both the web and mobile app. You can begin creating your own digital advertisements & loyalty rewards right away. Tell your existing customers you are a klosebuy business and they can view your exclusive advertisements and rewards. Klosebuy will reward your customers for joining and following your business. Your business is seen immediately on mobile devices! Consumers find your business, view your advertisements, redeem your rewards, and save and share them socially - all through the app. unlimited access to every tool you need! Optimize your marketing budget. Instantly reach a large audience of consumers with custom advertisements. Drive repeat business by delivering your messages, offers and promotions instantly to your customers' mobile phones. Boost slow traffic with a Flash Sale! Everyone checks their phone when it buzzes! Unlimited customer database. Know who your customers are and what inspires them. Get discovered! Acquire new customers when they find your business easily on Klosebuy. More foot traffic! Your business is geolocated so your listing and advertisements appear automatically to local consumers. have multiple or franchise locations? klosebuy has a custom solution for you too! "We are so happy with the opportunity to use Klosebuy in our nutrition clubs. It allows us to interact with our clients and keep them coming back for the points! The transaction of points is super easy and the clients love it!" "Klosebuy is a terrific program that helps us reach customers with our digital advertisements and rewards. 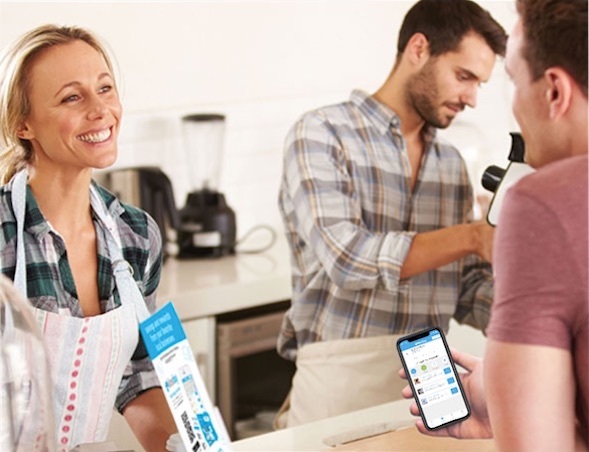 It’s easy for our employees to use, we build customer data, and our customers love getting points and earning discounts when using our deals on Klosebuy’s mobile app." "We are very pleased! Our customers love earning points and taking advantage of our promotions and rewards right from their mobile phones. We now have the ability to build a customer database, communicate directly with our customers, and know which advertisements are working." "The Klosebuy app really works! It definitely put our marketing in the right direction." "This has been great for us! Our customers love the convenience of having our advertisements on their phone. No more leaving their punch card at home!" "We have customers using Klosebuy daily! Getting customers to signup is easy especially when they receive points. The Klosebuy staff is terrific."